DD Kisan channel may be launched till Mid-January. New Delhi: Doordarshan India's public broadcaster going to be launches a TV channel for Indian farmers. 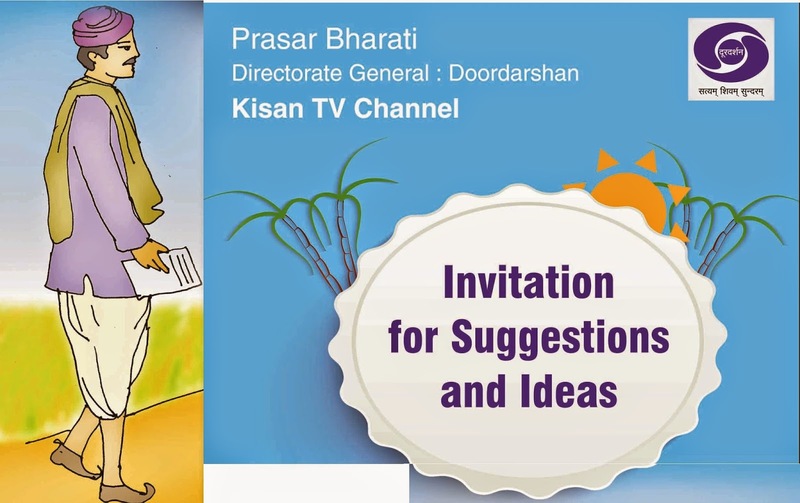 TV channel name is “DD Kisan". From DD India Official image. According to Zee News, Doordarshan officers to told to media that this channel may be launched till mid-January, they are also invited job applications for this channel vacancies. Mr. Arun Jately already announced budget of Rs.100 Crore for this 24 hour DD Kisan channel.